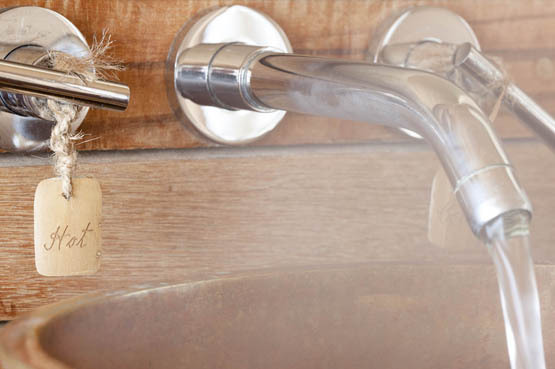 Instant hot water from every tap by using highly energy efficient Electrical Trace Heating. Self regulating cables have been successfully employed for many years to give just that, in hospitals, schools, sports stadia, prisons, hotels, offices and apartments. Trace heating the hot water supply pipe work with self regulating cable (which automatically regulates its output), maintains the water temperature from boiler to outlet, obviating the need for return pipes and re-circulation pumps, in turn saving space and eliminating costly maintenance. Self regulating systems reduce overall energy consumption and when used in conjunction with bespoke electronic control units can provide an automated and planned means of thermally disinfecting the pipe. The control units can also be used to efficiently program each particular system to switch between economy water temperature for periods when hot water is not usually tapped (at night) and peak periods when hot water demand is high.